You love hanging out, but there’s always that one person in your social group who wants to talk about what’s in your wallet. Whether it’s constantly asking about your financial status or pressuring you to blow your budget, financial “frenemies” can have a serious impact on your bottom line. When friends negatively affect your spending habits, it might be time to make a change or lay down a few social ground rules when it comes to talking about money. Of course, if you use your social circle as a measuring stick for success, you’re not alone. A 2013 American Institute of CPAs survey of individuals 25 to 34 years old found that 78% of millennials used their friends’ financial habits as a way to mirror their own, while 66% were determined to keep pace with their friends’ spending. Sadly, two-thirds of those who replied said they felt pressure from their friends when it came to expenses such as eating out and buying pricey tech gear. Does any of this ring a bell for you? Financial frenemies are a natural part of having a wide and diverse social circle. Even if you were raised to mind your own financial business, it doesn’t mean that all of your friends and acquaintances follow the same set of standards. By knowing which of your friends could be costing you financial security, you can better identify those who encourage you to spend – and how to neutralize their effect on you. Watch for these pressure pots who are disguised as friends. A financial bully is someone who constantly belittles you or makes you feel bad about your station in life. Sometimes, the bullying can be pretty subtle: An incredulous “You can’t afford a night out?” when you say you’d rather stay in than hit the bar, for example. 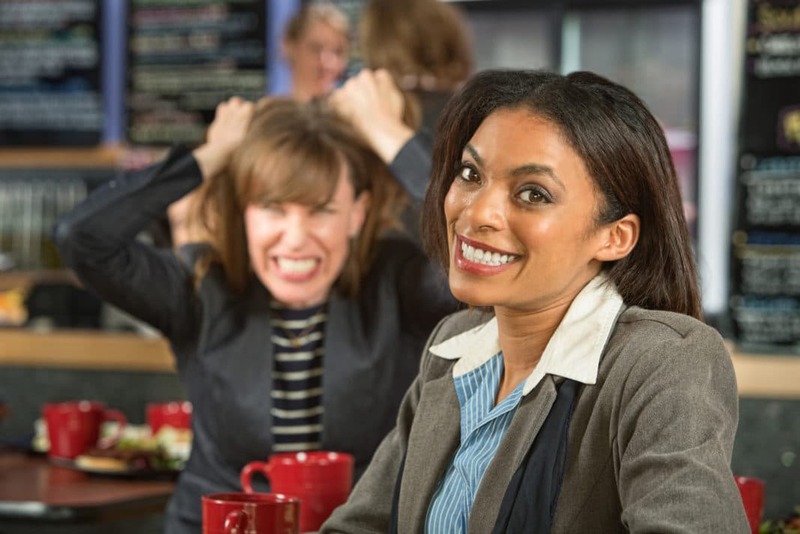 Financial bullies thrive on a feeling of superiority, but like playground bullies, they often target people based on their own shortcomings and insecurities. While friends might tease you about having a tight personal budget, the very same people could be struggling to pay their own bills. Instead of focusing on improvement, a financial bully would rather shift attention to a different target. How to Deal: Neutralize financial bullies by gently reminding them that teasing you doesn’t make you feel bad. If a bully taunts you because you’re sticking to a budget, you can speak up and remind your friends that you’re working toward stability. Try, “Yeah, I know it seems like things are tight, but it’ll be worth it when I can put that down payment on the house.” Putting your foot down and proving that a bully can’t push you around removes you as a target. It’s your friend’s birthday, and she wants to go all out: dinner with the group, pricey drinks, and a night out dancing. Unfortunately, when you’re on a budget, you know that a night out with friends can put a serious dent in your finances. Of course, the pressurizer doesn’t care. When you say you can’t go, you get a guilt trip that would make just about any mom proud. There is a ton of pressure to keep up with your friends, particularly when they make you feel guilty for not taking part in social activities with the rest of the group. But whether it’s a beach vacation, a night on the town, or tickets to a concert, guilt and pressure shouldn’t be the driving forces in getting you to whip out your credit card and spend. How to Deal: If someone is guilting you with an “everyone else is doing it” mentality, draw a few lines in the sand. Maybe you don’t want to spend the whole night out, but you’re happy to meet up for drinks after the show. You can’t afford that Mexican vacation, but you’d love to meet for coffee and hear all about it. By offering a substitute, you take away a pressurizer’s main ammo and prove that you’re a great friend. “Buy it! You work hard! You totally deserve it!” That’s the mantra of a classic spending enabler, who wants you to buy, buy, and buy some more. Enablers really don’t think they’re doing anything wrong, of course – they believe they’re being great friends by indulging you and reminding you how special you are. 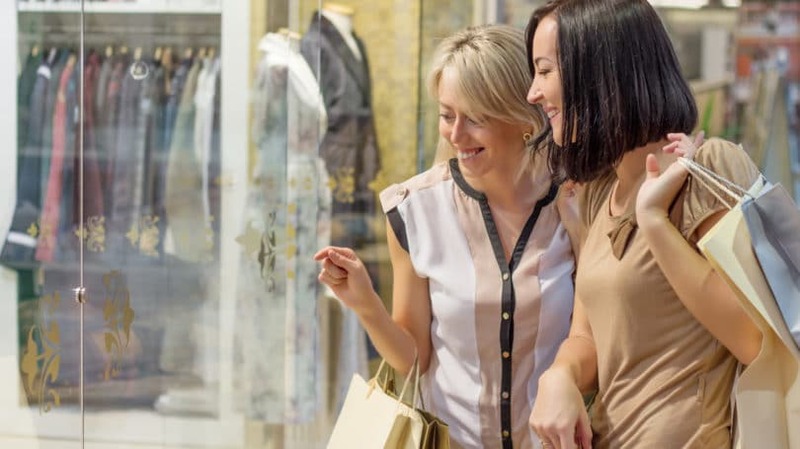 Shopping with someone who encourages you to spend despite conflicting financial goals can be very dangerous. Even the most stalwart of savers are bound to be broken down when purchase after purchase is justified. The trick is to put a few safeguards in place to lessen the effect of friends who push you to spend as a way to show their love. How to Deal: There are a few ways to stop an enabler from helping you spend your own money. First, if you know you’re going shopping with one, leave the cards at home and bring cash. That way, when your budgeted purchasing amount is gone, it’s gone – regardless of how your friend entices you. 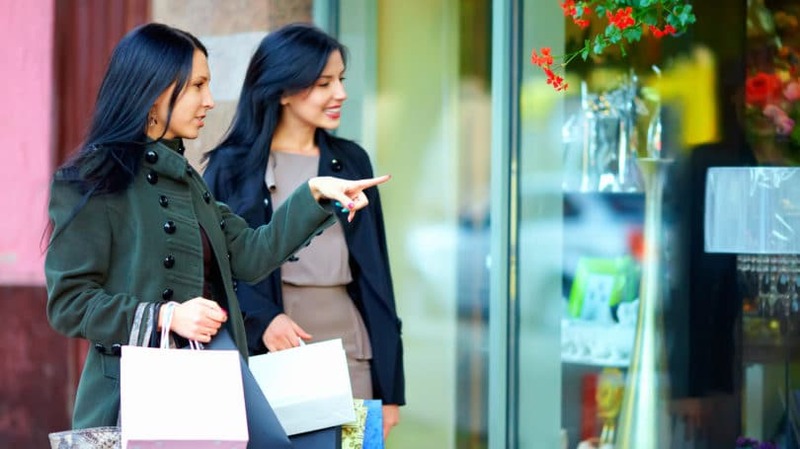 Second, try avoiding some of the places that trigger your spending, as well as your friend’s enabling behavior. If you know you can’t resist the mall, meet up for lunch in the park instead. If you tend to overspend on pricey apps and entrées, skip dinner and grab a mid-afternoon coffee. By avoiding the places you traditionally overspend, you take the power away from your enabling friend. I think we all have a borrower in our lives, whether or not they actually pay back the money they “borrow.” You know the one: It’s your friend who is perpetually strapped for cash, asking to be spotted a few bucks, or who conveniently forgets that you loaned money three months ago. Borrowers can fall into one of two categories. First, there are individuals who are actually short on cash, but don’t want to miss out on the events the rest of your group is participating in. But second, there are some borrowers who aren’t strapped for cash – they’re just cheap. They see a chance to wiggle out of a financial obligation, so that’s just what they do. Rather than seeing it as “borrowing money,” they think they’re being financially savvy by having someone else pick up the bill, or by signing their name to a birthday card for a gift they didn’t contribute to. How to Deal: Whatever the reason for the so-called “borrowing,” it needs to stop. Try this general rule: If your friend wouldn’t be comfortable with a formal plan for repayment, don’t let it slide. That’s not to say you can’t pick up the lunch tab as a treat, but never do it because you’re being manipulated or guilted into it by an ostensibly penniless friend. You should also watch out for settings where several friends are splitting the cost of a purchase. Buying a stroller for a pregnant friend is nice, but not if others in the group don’t contribute. Splitting the expense can give a habitual borrower the fuel to keep up unacceptable behavior, so feel free to opt out of the group gift or joint dinner in favor of something you purchase on your own. There’s a big difference between someone who wants you to share in the excitement of a purchase, and someone who wants to rub it in your face. It’s all about intent, and show-off friends actively want you to feel jealous of their status, position, belongings, and finances. And guess what? More often than not, show-offs get just what they want: friends who are green with envy. It’s completely natural to be a little jealous when someone keeps throwing material goods and money at you – and it’s probably the sign of a fairly toxic friend. The trick is to avoid giving those show-offs what they want, which is a reaction. How to Deal: When you feel a little jealous of a friend’s fancy car or seemingly bottomless bank account, take stock of what’s really bugging you. You’re probably more envious of financial stability than the material goods. By setting your own goals and focusing on achieving them, you can spend less time interested in what your show-off friend is presenting, and more time zeroed in on how you’re going to better your own situation. It also helps to keep in mind that not everything is as it seems. A person desperate to constantly assert wealth and status might be secretly struggling. Focus on your own journey, and you won’t need to measure up to an impossible standard. “What’s the problem with going over-budget just one month? Everything will work out in the end.” If you’re a natural financial worrywart, there’s a good chance this line of thinking is completely foreign to you. Financial optimists can take a sunny disposition to the extreme, though, relying on good graces and good luck to make up for shortcomings. It doesn’t pay to be unnecessarily pessimistic, but someone on the opposite end of the spectrum could cause you to relax on your own obligations, spending today without thinking about the future. The “you only live once” laissez-faire attitude might seem charming, but when you realize that you’ve spent the rent money or haven’t put enough away for a rainy day, it’s likely to change your mood from optimistic to doomsdayer. How to Deal: Your optimistic friends don’t want you to kill their vibe, so be specific about your goals. When you’re pressured to spend on something today, remind your friends that you’re hoping to buy a house in the next year and are really focused on that. Concrete statements of achievable goals can help your optimistic friends take stock of their own financial future, also acting as a gentle reminder to lay off. You received a raise at work, and the busybody wants to know exactly how much. You purchased a house, and the busybody wants to know what you paid. Busybodies put themselves in charge of knowing absolutely everything, and that knowledge can be used for gossip, as a means of measuring up, or even as a way to talk down to you. It’s more than just natural curiosity, since busybodies make it their business to be in the know, whether or not it’s appropriate to ask. How to Deal: If people questioning your personal details makes you uncomfortable, or you feel like your friends are looking to spread some gossip, be purposefully but politely vague about your situation. If they ask about your raise, say something like, “I spoke with my boss and we agreed on a number that was fair and commensurate to my work.” You have no obligation to give a nosy friend details on your private financial situation. No matter how well things are going for you, they’re going just a bit better for a one-upper friend. If you get a great job, your friend got a better one. Going on vacation? A one-upper is going to a much more exotic destination. The main problem with one-upping friends (besides the fact that they can be completely annoying) is that it can bring out your own competitive behavior. When you’re constantly looking to “beat” your friends’ lifestyles, you might be driven to spend past your means to officially become top dog. Unfortunately, one-uppers never rest – no matter how perfectly your life turns out, they can cultivate one that is flawless. The bottom line? You won’t win. How to Deal: If you recognize one-upping behavior from a friend, avoid feeding the flame. One-uppers thrive on the thrill of competition, so keeping your success to yourself can help reduce the behavior. Simply refuse to compete by congratulating your one-upping friends on their success, while purposely remaining mum regarding whatever you have going on. Eventually, your friend should realize that you’re not much competition and move onto someone else. When you have a full and balanced social circle, you’re bound to associate with many different personalities, belief systems, levels of financial success, and quirks. And when you have friends that drive you toward bad financial habits, you don’t need to cut them off completely. Instead, modify your behavior so theirs is less likely to affect you. If you’ve changed the way you interact with financial frenemies and you’re still tempted to fall into their spending traps, it might be appropriate to take a time-out with those people. If someone is constantly belittling you, making you feel jealous, or pushing you to blow your budget, sit down and assess the true cost of that friendship – and act accordingly. Do you have any financial frenemies?